Now that feature freeze is in full gear for the platform, I can catch up on some administrative duties. First and foremost, we have some new PDE proper members to talk about. 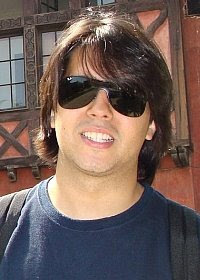 Rafael Oliveira joins the PDE team as a contributor from the Google Summer of Code 2008 program. Rafael is doing excellent work in bringing my dream of a OSGi Declarative Services editor to reality. We’re making a lot of progress on the editor. I have been fighting with icons and polish work for the editor and that’s taking longer than I want. Rafael and I also need to start adding fancy validation to the editor. Expect a “beta” towards the end of this month / early next month. This will hopefully allow people to provide feedback and shape the editor. 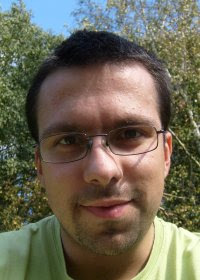 Bartosz Michalik also hails from the GSOC program this year and will be working on some Equinox Transforms related tooling. 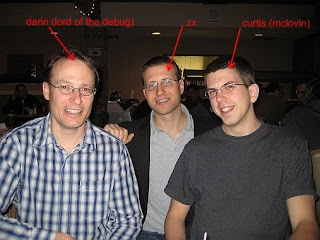 ← Previous PostSWT / Qt?